HBS: I recently interviewed Sharita Grueberg from the Center for American Progress about challenges the LGBT community is facing under the Trump administration. She saw a glimmer of hope on the local level. To quote her, “that’s where real change is going to happen now.” Would you agree and where do you see this change? Ruben Gonzales: I do agree. I think that is one of the most exciting things we have seen since the 2016 election. There has been a surge of people interested in running for office across the country. The Victory Institute is doing four candidate campaign trainings this year. Our training in Florida, which took place recently, was completely overcrowded. We had to increase the number of participants and created a waitlist for all those interested. Our next training will be in Seattle, where we’ll hopefully have a similar amount of people joining us. All in all, we have seen an increase of people who want to run for office across the board. We set out a goal to double the number of people that we trained in 2016, a number that we have already beaten in the first half of 2017. Our aim is to train about 500 people this year. The unique role the Victory Institute is playing is not just being a cheerleader, but preparing people to actually win elected office. In Florida, we had a lot of people wanting to run for very high levels of office that have never run before. They feel the need to actively engage because they aren’t happy with the current development. We support those people and encourage them to start out as local leaders to eventually work their way up. We have also seen some great examples of LGBTQ elected officials coming to the front lines of the resistance. In New Mexico, Mayor of Santa Fe Javier Gonzales, was one of the first mayors to come out and declare that Santa Fe will stay a sanctuary city. And State Senator Ricardo Lara from California’s 33rd District introduced a bill for a single payer health care system in California that is going to cover all Californians, even the most vulnerable. It has just passed the Senate and is currently going through the House. 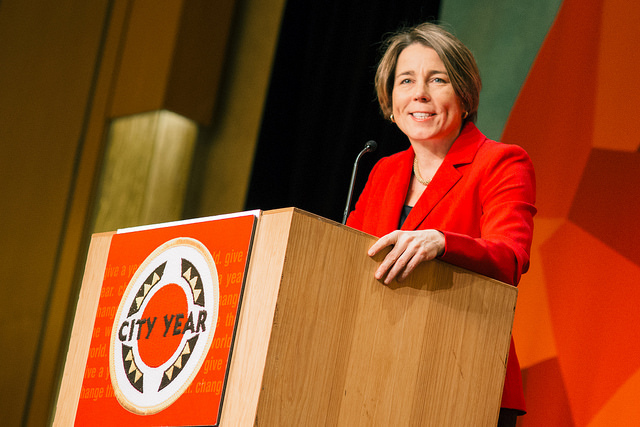 Attorney General Maura Healey of Massachusetts, the only openly LGBT attorney general in the country, is suing the President of the United States to block the Travel Ban that’s targeting Muslims. Overall, we see countless examples of LGBTQ elected leaders who are standing up for the community and other intersections of it, as well as new voices who want to be heard by running for office. In regards to the current political climate in the US, what has the impact on your organization been so far? Victory has run a Presidential Appointments Initiative, starting in the 90s when President Clinton began nominating openly LGBTQ people to serve in his administration. The Victory Institute was very active in identifying openly LGBTQ people who were well qualified and able to serve in those roles. In 2008, when President Obama was elected, it became a more formal program, where we had hundreds of people signing up to serve in this administration. President Obama ended up appointing more than 300 openly LGBTQ people into his administration. If you combine any number of the administrations before, it will never reach this amount. The Victory Institute was prepared to do this again in 2016. We were working with about 30 LGBTQ organizations in the country to start putting together a list of LGBTQ people, qualified to work in departments across the administration. We are very disappointed that President Trump has not appointed a single high-level LGBTQ person into any position. It’s pretty terrible. We also had republican names in the case of a more open administration, willing to promote LGBTQ people into the administration. There hasn’t been an opportunity here yet. Are those people you support to run for office, only LGBTQ people? Victory is singly focused on our mission of building LGBTQ representation. Representation is power and we believe that it makes a difference to have LGBTQ people at the table. We obviously support allies to our community and appreciate the support from them, but our mission is to get LGBTQ identified to run for office and seek out leadership opportunities. So do you believe that the reason why we still see so many discriminatory policies or weak protections for the LGBTQ community is because of the lack of representation of the LGBTQ elected officials? And does this mean straight politicians don’t prioritize these issues and don’t feel the urgency of such policies? There are thousands of elected positions in the country, but only between 500 and 1000 of those are LGBTQ representatives. There are only six members of Congress that are openly LGBTQ and only one Senator and one Governor. There is a huge opportunity to increase these numbers across the board. We want numbers that actually reflect the size of the community, that’s why we are focused on getting LGBTQ people involved. When you know someone who is LGBTQ, it changes your perspective on how you feel about them, how you vote and how you voice your opinion about LGBTQ issues. This can also be applied in a state house. If there is an LGBTQ state representative among people who have never worked with an LGBTQ person before, this will change how they perceive our community and how they vote on our rights. Do you prioritize state, local or national leaders? Why? Our focus lies on low-equality states, places that are actually facing anti-LGBT legislation. We identified states that are most likely to face this discrimination, not coincidentally, those states also have fewer LGBTQ representatives, some even lack any LGBTQ assembly members or senator legislators. We therefore want to make sure that there is an openly LGBTQ lawmaker in every state. A mayor or the city council can be very powerful in this regard too, which is why the increase of representatives in these fields is of interest for us, as well. As you mentioned earlier, LGBTQ identities are intersectional. LGBTQ people are also black, women, Latinx, etc. How do these diverse identities and the political interest of these different communities play out in your selection of candidates? Our organization consists of two branches, the Victory Institute and the Victory Fund, which are connected but separated. The Victory Institute searches for and trains people to run for office, while the Victory Fund takes over once they have decided to run for office. The latter is a political organization that endorses and supports people as they are running. The Victory Institute’s candidate campaign trainings are intensive 4-day trainings with a limit of 40 spots. Our priority lies on people who are planning to run in the next two years, which is why we are very selective in choosing our candidates. We interview every single person that applies to be in our training programs and eventually pick the ones who have a realistic and solid proposal. Ultimately, our pick includes people from low-equality states to increase representation as well as people of color, transgender people and young people. In general, those who fit outside the generic perceptions of people who run for office. Do these candidates have their own agendas? And do you require that they prioritize certain issues to be eligible for your support? They need to be openly LGBTQ and supportive of those issues. It might seem obvious, but this isn’t always the case. All of our trainings are non-partisan and we have progressives and conservatives in the room. For example, one of our trainers is a renowned conservative and a well-known republican political operative, who contributes a very balanced perspective. How does an LGBT campaign differ from a non-LGBT campaign? During our candidate campaign training, we specifically target LGBT issues. One of the main points we teach our trainees, is that being LGBTQ isn’t going to win an election for you and it’s probably not going to lose an election for you. At the point where we are, it’s one more piece that people are going to know about you and one additional thing you have to address. The career you choose the person you married and many other aspects of your life will have to be discussed. We therefore invite openly LGBTQ elected officials into our trainings, to give guidance and share their experience on how to deal with this and how it has impacted their campaign. Let’s talk numbers. How many of the candidates you’ve trained have actually been elected? 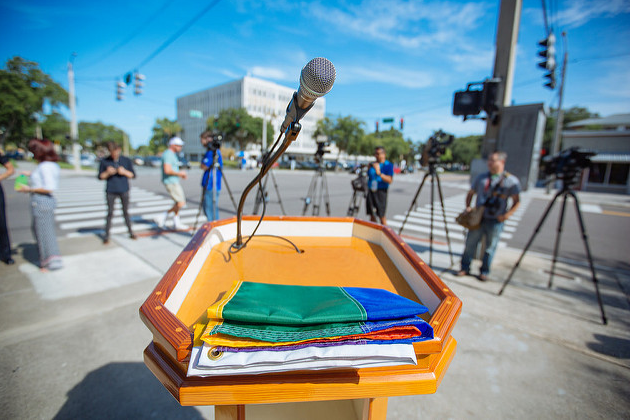 Across the country, there are about 500 LGBT elected officials. Since 1993, when Victory started the candidate campaign trainings, we’ve trained more than 1,000 people. There are probably close to 300 people who we’ve trained and who eventually won office. Some examples are Senator Tammy Baldwin from Wisconsin, Congressman Jared Polis from Colorado, Mayor Annise Parker from Houston and Mayor of Long Beach Robert Garcia. You have just mentioned, several examples, but who are other up-and coming voices or elected leaders for the LGBTQ community? There are so many exciting people! On Tuesday June 13th, there is a transgender woman named Danica Roem running for a delegate position in Virginia. We actually have four transgender people who are running for office this year, two in Minnesota, one in Palm Springs California and Danica in Virginia. Again, this is the work of the Victory Fund, we see this as a big opportunity to move transgender officials and legislation forward. Taking a look at your biography, you have basically spent your career fighting for LGBTQ rights. What gives you personally the energy to continue to the fight? I have always been an activist. Growing up, my family was very active in unions, protests and marches. Fighting for equality has therefore always felt natural to me. Working for Victory and Glaad on LGBTQ related issues or for the National Council of La Raza on behalf of immigration, I recognized the many intersections in our community both from the Latino and the LGBTQ side. I consider it a huge privilege to actually make a living in trying to make the world a better place and fighting for equal rights and fair treatment of everyone. This is what I am driven by and what is rewarding every day. The proposal, called the Healthy California Act would entitle all residents to decent healthcare without having to pay premiums, deductibles or copays. Instead of paying private insurers, residents pay an amount determined by the state via taxes. The interview was conducted on June 8th. Danica made history on June 13th when she bested three other Democrats to become the first transgender candidate to win a primary for Virginia’s House of Delegates. In November, she'll face off against incumbent Republican Bob Marshall. Should she win, Roem would be the third openly transgender state legislator to ever hold office in the U.S. and one of only a few openly trans elected officials in the world. Across the globe, lesbians, gays, bisexuals, trans- and intersexuals (LGBTI) are coming under increasing attack as more repressive laws, discrimination and violence aggravate their living conditions. This dossier describes the restrictions confronting them and the strategies they are formulating to counter these developments. Are LGBTQ rights on the line under the new administration? We spoke with Sharita Gruberg, associate director of the LGBT Research and Communications Project at the Center for American Progress, about challenges that face LGBTQ community under Trump.